HM Revenue and Customs (HMRC) has clarified the position of a company car’s CO2 emissions after engines have been remapped, stating that there can be no benefit to BIK tax. Fleet operators are becoming open to engine remapping to improve fuel economy, particularly for vans, but according to Fleet News, some have suggested there could be a reduction in BIK tax from lower CO2 emissions, as long as the revised engine map gains type approval. At one of the trade publication's events, Shaun Rowley, senior product marketing manager at BT Fleet, suggested that as well as an improvement in fuel economy, there could be a case for a remapped car gaining a new type approval to benefit from a lower CO2 rating. Rowley told delegates: “Right at the very beginning of this process I had a senior manager within the business who had his car engine remapped and made savings on fuel, but also recognised that the CO2 reduction could bring him down a benefit-in-kind tax bracket. “The answer we got from Government was ‘you can do it, but you will have to put the vehicle through type approval’. The BT van fleet had its engines remapped in 2012 to gain fuel economy benefits of up to 15%. 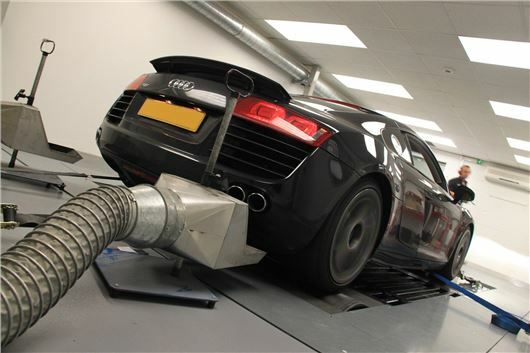 Remapping can also be carried out on cars, although private car owners often choose to remap to boost performance. Paul Busby, chief executive of Viezu, the company that remapped the BT vans, said there was little appetite for using it to improve fuel economy or rev-limit cars. He said in Fleet News: “We map hundreds of cars, but not many company cars. The same technology [as we use on vans] is available for cars – we can make huge savings on car fuel economy – but mention rev-, speed- and throttle-limiting on cars and everyone gets twitchy. “It seems the company car is still seen by many as a perk and to restrain it in any way is highly political; it seems almost a breach of our human rights as an employee and company car driver – but it’s ok for the guys in the vans. “In short, with the changes we make and the depths of the maps or reduced functions (no speed, throttle or rev limiting), the savings we can offer drop from a very realistic 10-12% fuel saving on a van to one of around 6% in cars. Importantly, the results are more dependent on driving sensibly. While fleets could benefit from improved fuel economy in cars, although it could have a higher break-even mileage than the maps for vans, HMRC has ruled out any change to BIK tax bands as a result of engine modification. An HMRC spokesman told Fleet News: “Once the Department for Transport has certified the CO2 emissions figure, this cannot be changed by modification of the car. “Section 136 of the Income Tax (Pensions and Earnings) Act 2003 dictates that it is the figure given on the UK approval certificate which is used for the purpose of the car benefit calculation. As this can’t be altered, the calculation will always rely on the official emissions figure.